I’m a big crafter but knitting has always been frustrating for me. Until now. 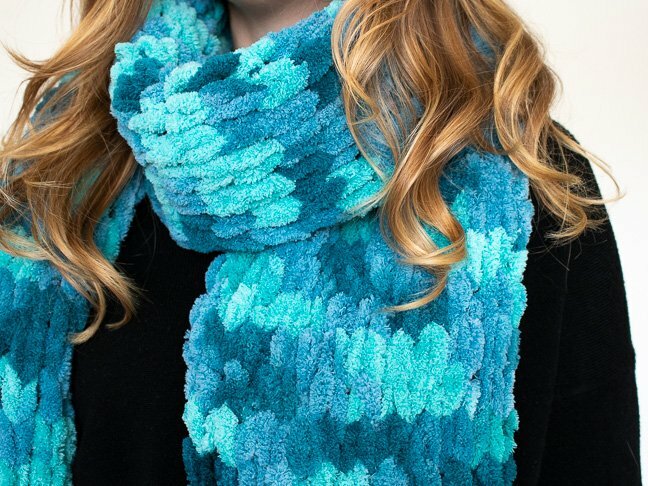 I was introduced to a special looping yarn, and I learned how to finger knit a colorful scarf in less than one hour! 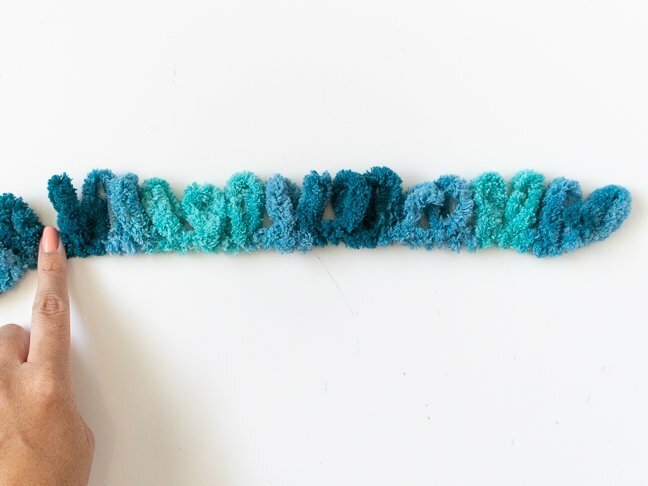 Finger knitting is a great first step to learning how to knit successfully. 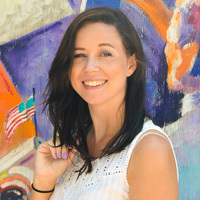 And it’s kind of mindless and easy so you can actually binge watch your favorite shows while doing it! It’s a total win. 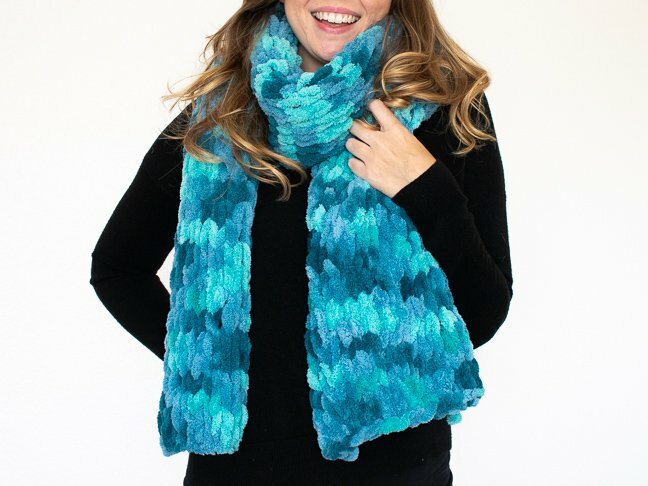 Also – If you’ve ever wanted to bring your knitting tools on a plane, but couldn’t because of safety regulations, then this easy finger knit scarf is perfect for you because there are NO sharp objects required (and no chance of your kids using your knitting needles as swords). 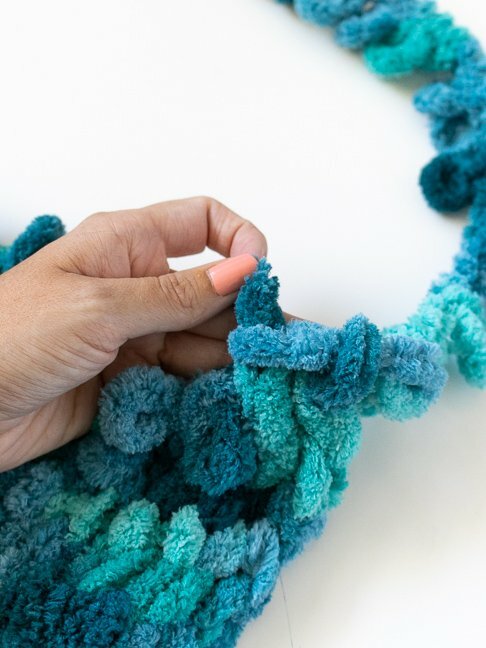 You can really finger knit anywhere you want because all you need is some yarn and your fingers! 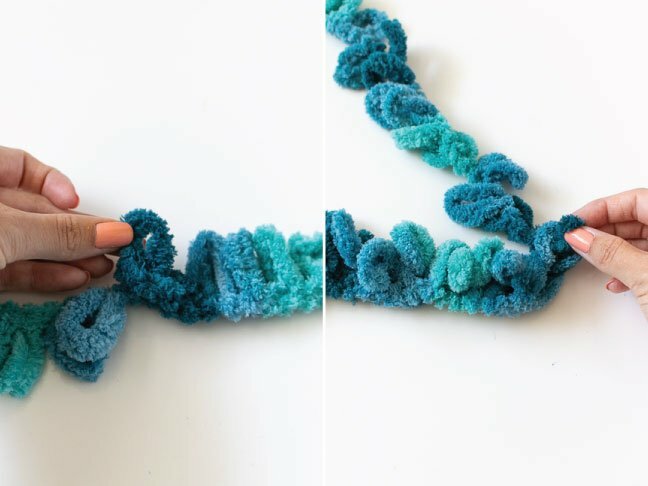 It may take the first few rows before you perfect the looping process, but then it begins to feel like instinct, and you’ll have a finished scarf in no time at all. 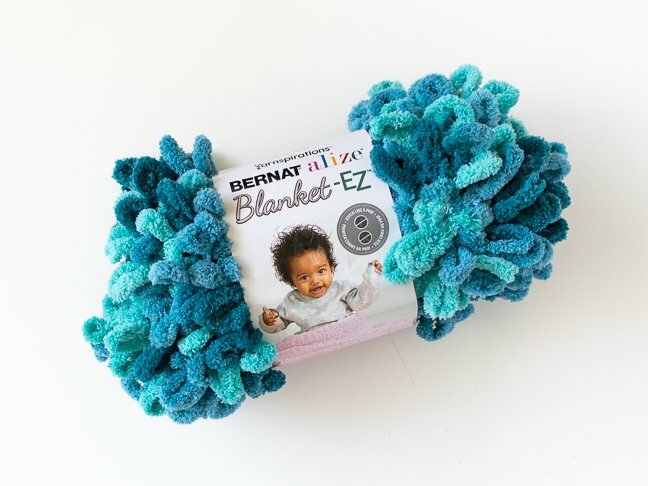 Just think about all of the DIY gifts you can create for the holidays! Step 1: Pull out yarn and count 12-16 loops. This will determine the width of the scarf (mine is 16 loops, so it’s very wide, but thinner scarves will also be faster). Follow this pattern until you run out of yarn in the first skein. 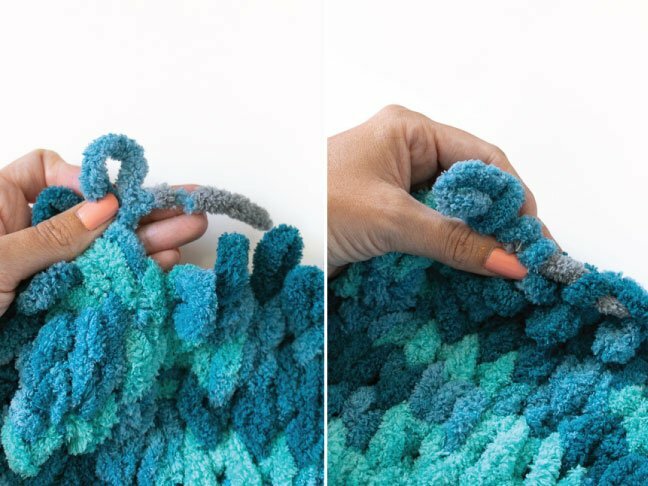 It’s mindless work, but be sure to check your work often as it is easy to miss a loop here and there, and one missing loop could stick out like a sore thumb on your finished scarf. If you make a mistake, simply pull the loops loose and fix it. Step 5: When you reach the end, repeat step 3 on both sides of the scarf. 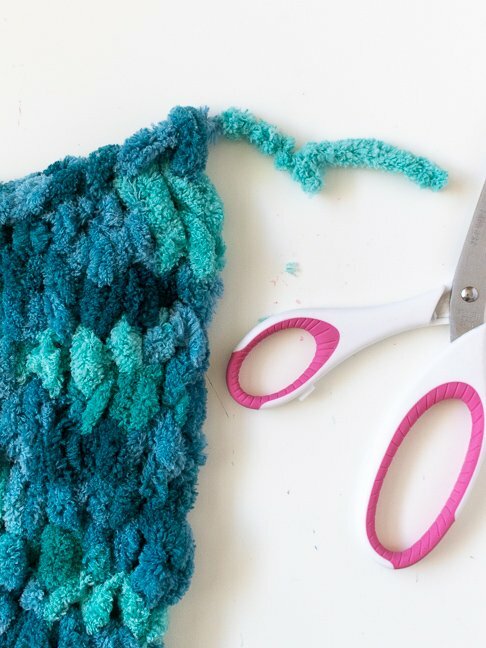 Cut the loop loose, trim and weave the strand of yarn through the loops in the scarf. Now it’s finished!